I’m more of a sweet breakfast type of person, but there is something very comforting in a savory, warm morning dish. 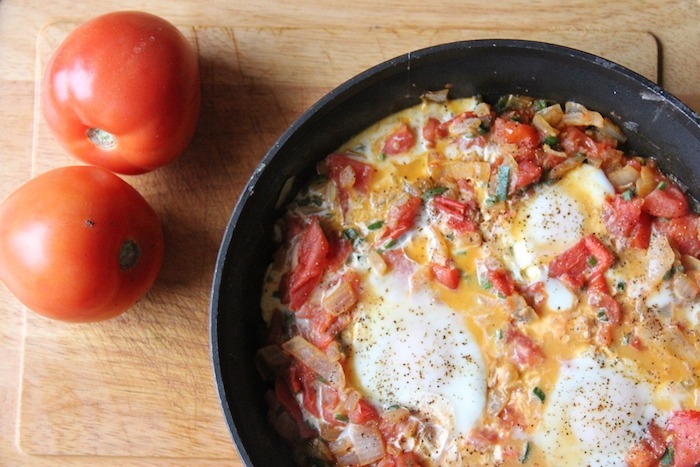 This tomato veggie omelette dish is perfect for late breakfast or brunch and has all the elements to keep you energized for the day. It’s packed with tons of veggies and herbs, so you get your nutritional punch too! Directions: Chop onions, garlic, and tomato. Melt butter in saucepan over medium heat. Add the onions and garlic. 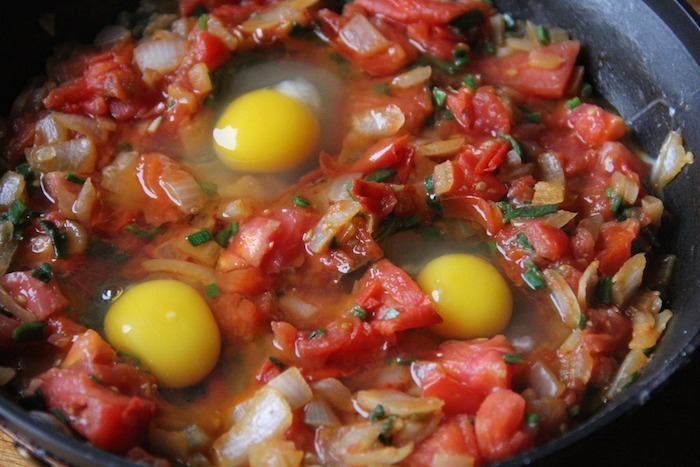 Cook until transparent, and then add the chopped tomato and chives. Cook for another 2-3 minutes, or until the tomatoes are softened. 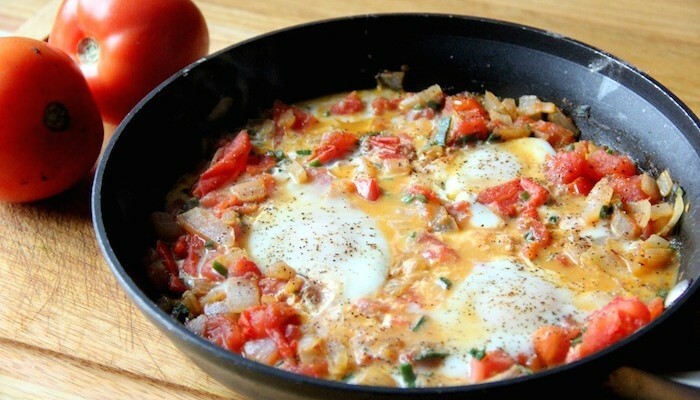 Create 3 dips in the tomato mixture and crack an egg in each one. Cook for 3 minutes with a lid on, which will help to cook the tops of the eggs. When finished, serve the veggie omelette with toast. 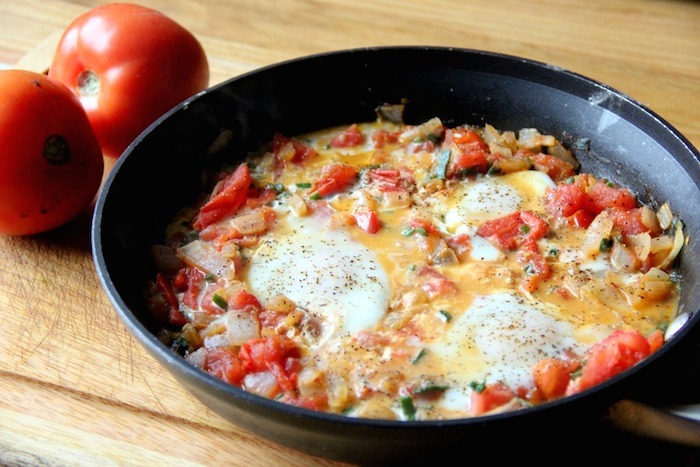 This entry was tagged menemen, omelet, omelet recipes, veggie omelette. Bookmark the permalink. Warning, if you’re hungry, do not look at these pictures, they may cause heavy production of saliva.